Mustang Seal Solutions specializes in rubber machining for the oil and gas industry. At Mustang Seal Solutions, we provide expert rubber seals and rubber cutting solutions. 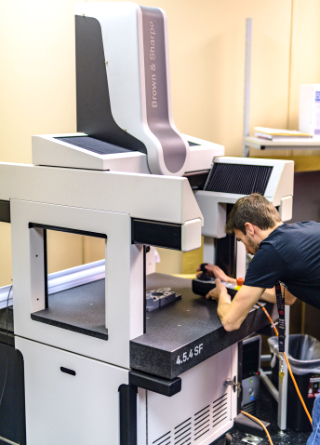 Equipped with four axis machines, we manufacture custom rubber products designed for your needs. Our custom rubber machining services can be done from scratch to reduce high minimums and cut tooling costs. We have a team of qualified personnel that work around the clock to deliver precise work. Rubber machining is carried out by experienced specialists with a command in programming, tool and fixture designs, and an understanding of material processing. Our knowledge of rubber processing enables us to produce top-notch results. What types of rubber materials do you use through Rubber Machining? Silicone Rubber, NBR, HNBR, EPDM Rubber, FKM/Viton, Aflas, and any custom rubber you may have. I don't know what type of rubber to use. Worry no more! Tell us what you need the product for and Mustang Seal Solution will help guide you, so you can determine which rubber to use. You can order anything from 1 part to 100,000+. Please contact us regarding any special or large orders for preferential pricing.